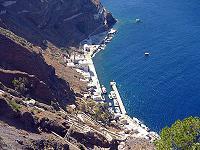 Fira's small port sits 900 feet below the Fira town. 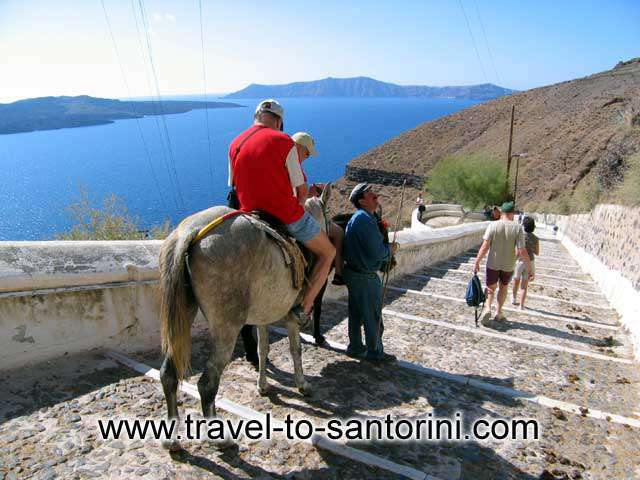 It nestles under the caldera, around 600 zigzagged steps. 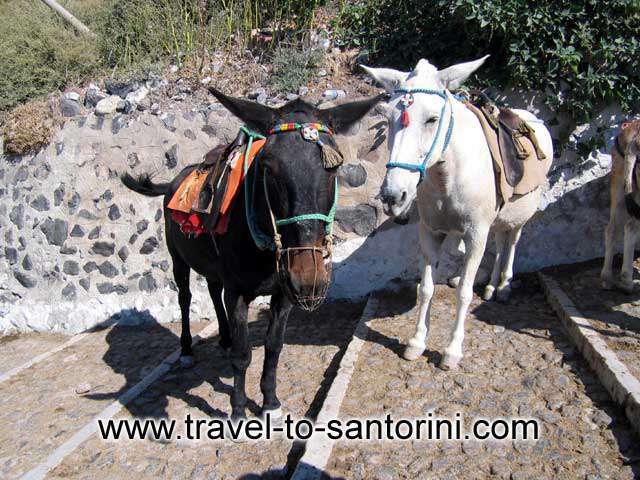 Large passenger cruisers regularly sail to Fira harbour, bringing much needed revenue on to the island. 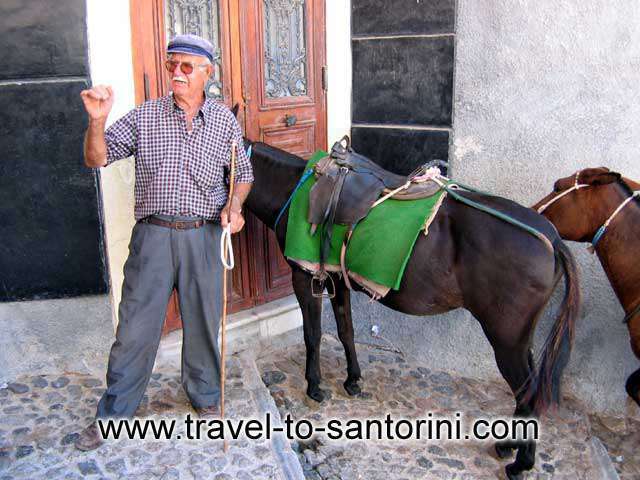 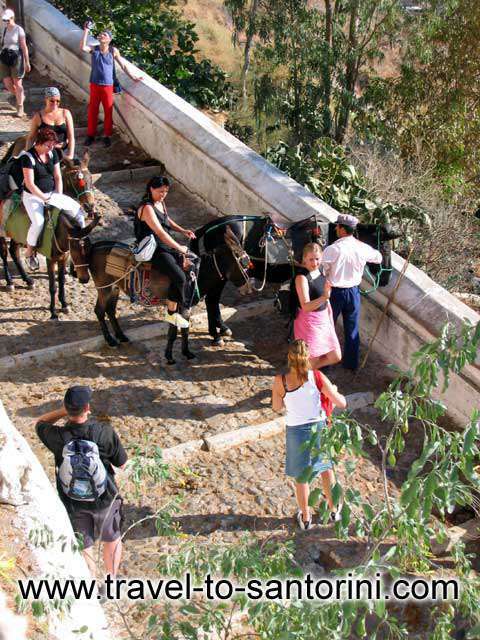 By taking the donkeys or mules down the winding steps, you can arrive to the Old Port. 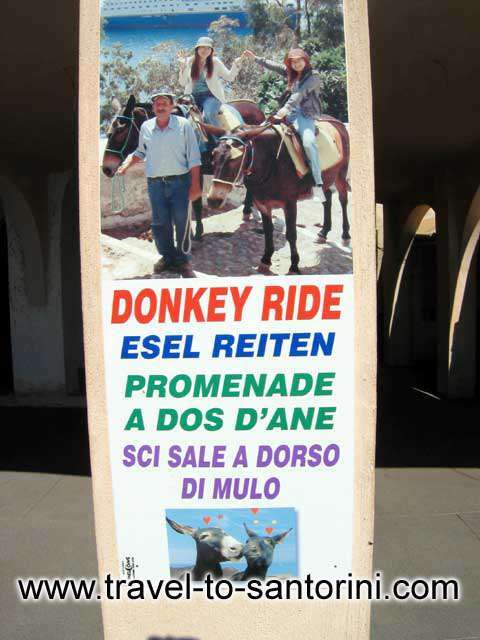 There's loads of donkeys and mules offering tourist rides stationed at the top and at the foot of the steep harbour path. 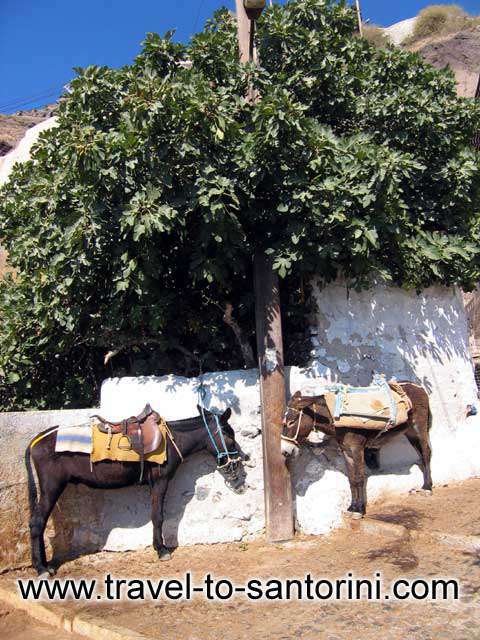 Another way is by the almost new and comfort way of the electric cable car. 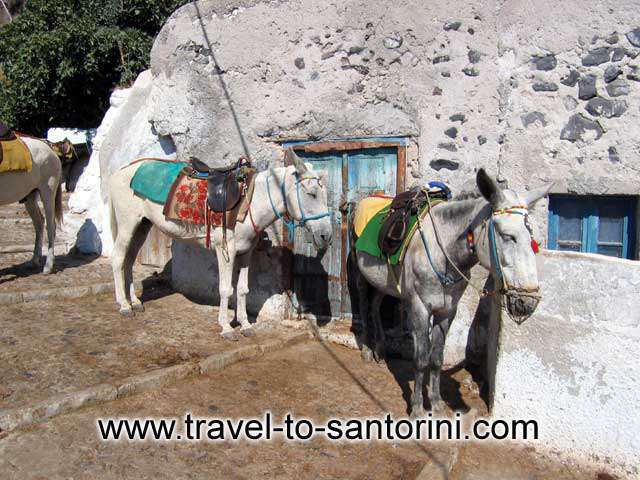 It was installed as a gift from the wealthy Santorini ship ower Evaggelos Nomikos in 1979. 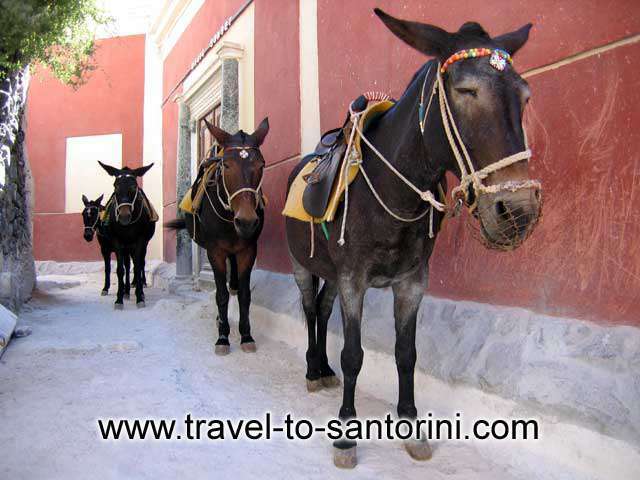 It is also known as the "teleferique" and it can transport up to 1200 person per hour.